Delivered in 2004 and refitted in 2018, this Princess V70 model is kept in excellent condition by her owner and crew. The yacht’s lower deck offers comfortable accommodation for six guests in three air conditioned cabins. She boasts a full beam en-suite Master cabin, an en-suite VIP cabin based forward and a twin cabin. 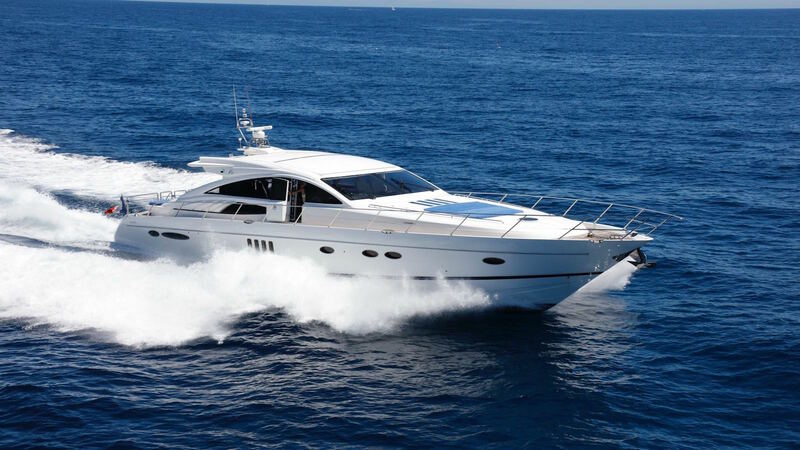 Her exterior is also spacious and her guests can enjoy different spots on the yacht, including an open deck with a dining table, bar area and very large cushions/sunbeds. Powered by twin MAN 1360HP, Pink Panther can reach a maximum speed of 36 Knots and a cruising speed of 30 Knots.